Every golfer knows by now they can drastically improve their game by increasing their proficiency on the putting green. If you can shed strokes by nailing big putts, you can also watch your score drop and your confidence rise. To start honing your putting technique, you have to take it back to the very first step: the setup. A proper golf setup for putting isn’t difficult, but it is important. In this video, we discuss some of the essential tips you should utilize to develop a proper golf setup on the green that you can repeat every time you step up to putt. The proper golf setup for putting has a few distinct differences from the setup you employ for your irons and driver. One of these key differences is your posture, which, although seemingly inconsequential, plays a large role in the success of your golf swing. There are a few basic rules to follow for a proper golf setup on the putting green. 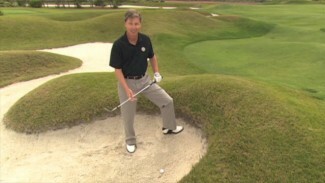 As your goal is to find the best path for your ball to travel to the hole, rule #1 is to keep your eye over the ball. 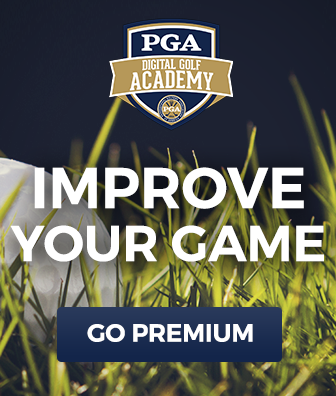 To help demonstrate what exactly we mean by this, PGA Professional Chip Koehlke shows you how to settle into your stance for an accurate putt. 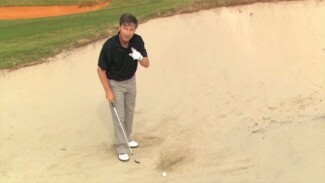 He explains how the proper golf setup for putting involves getting the best bird’s eye view on your ball’s lane to the hole, which requires a different posture than you would use for longer clubs. Similar to posture, the grip plays a vital role in the proper golf setup. While it doesn’t matter which grip you adopt, there is one constant that you must always follow in setting up for a putt. 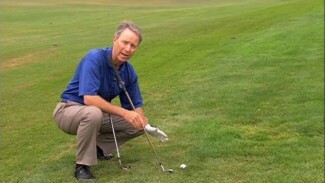 Chip discusses this important detail and more so you can perfect the proper golf setup and start to sink more putts. Try to implement these expert techniques the next time you practice your close game, and we guarantee you’ll become a more proficient putter.